Data visualization is a term that most business professionals are familiar with today. 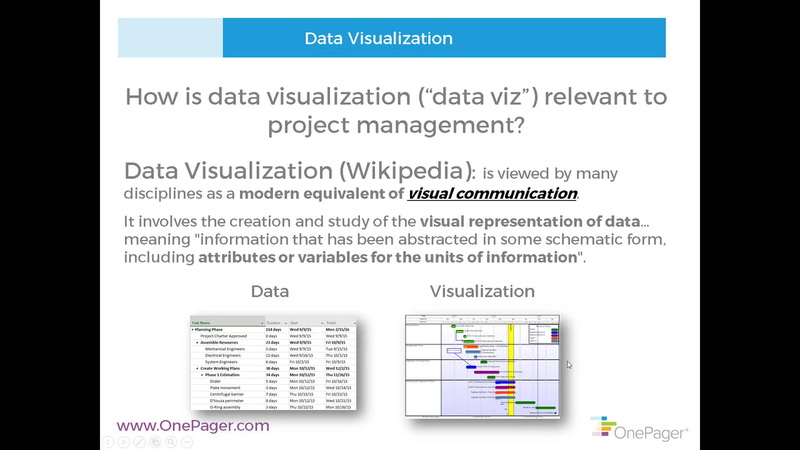 But how many in the planning community realize that they create data visualizations as a regular part of their role? Further, how many who create project-related visuals today have studied what makes their charts, good charts? Data visualization in planning, or “plan communications,” is actually a discipline, that, until recently, hasn’t gotten much attention. In this webinar, Jay Leslie will present insight into data visualization and the cognitive psychology of how people best absorb visual information, to help users become better communicators, in the form of best practices.